Water-Zoo hotel packages include TWO days at the water park, one night in the hotel in between and FREE breakfast and FREE parking! Available only at Holiday Inn Express and Hampton Inn in Clinton, OK (pictured). 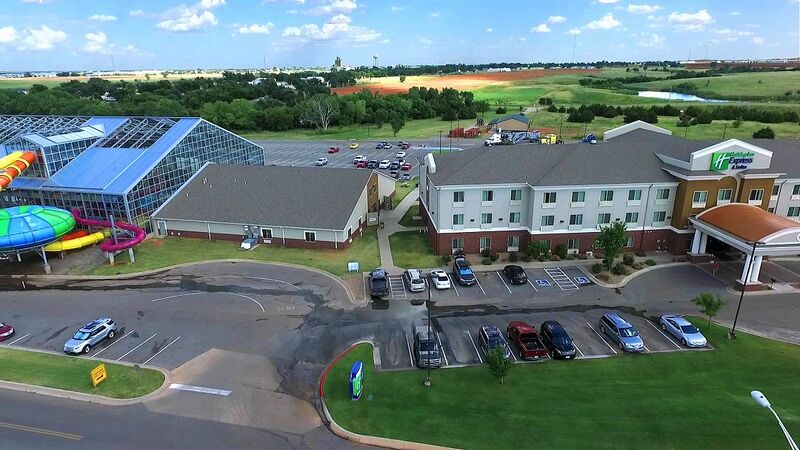 Located right on I-40, exit 65A, we are super-easy to get to and find. Check our attractions page to see what we have to offer. Important: Hotel standard check-in time of 3 PM and check-out time of 12-noon apply! Example Arrival: Guests arrive at 12-noon on Saturday. They go to their hotel to get the water park entry voucher. After that, they go to the water park, which has showers and changing rooms. After 3 PM, guests can check into their room. Example Departure: Guests check out from their room before 12-noon and go to the water park for the remainder of the day. Important: Packages are currently not available at 3rd-party booking sites, such as Expedia, Booking.com and similar. The Holiday Inn Express is directly adjacent to the Water-Zoo and our automated entry system lets you move between your room and the water park as often as you wish. Note: After you enter your dates and click search on the booking page, scroll way down to find the packages. 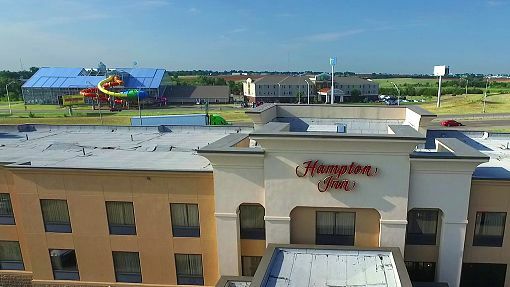 The Hampton Inn is just across the Interstate from the Water-Zoo (see the picture on the top of this page). 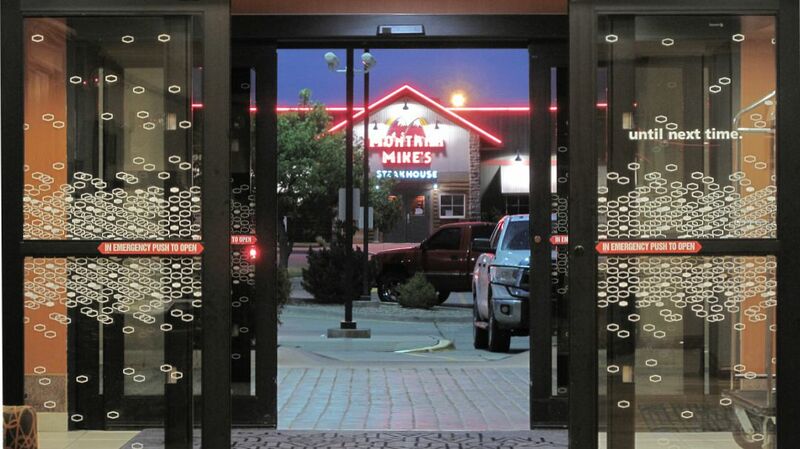 It’s quieter and less expensive than the Holiday Inn Express, and you can have a dinner and drink at the Montana Mike’s steakhouse right across the parking lot. Note: Do not choose any additional discounts on the booking page. They are not applicable to the packages and you will end up booking just the room, without the water park admission! The gas station is owned by the same family too. Check if we are having a water park-gas deal.